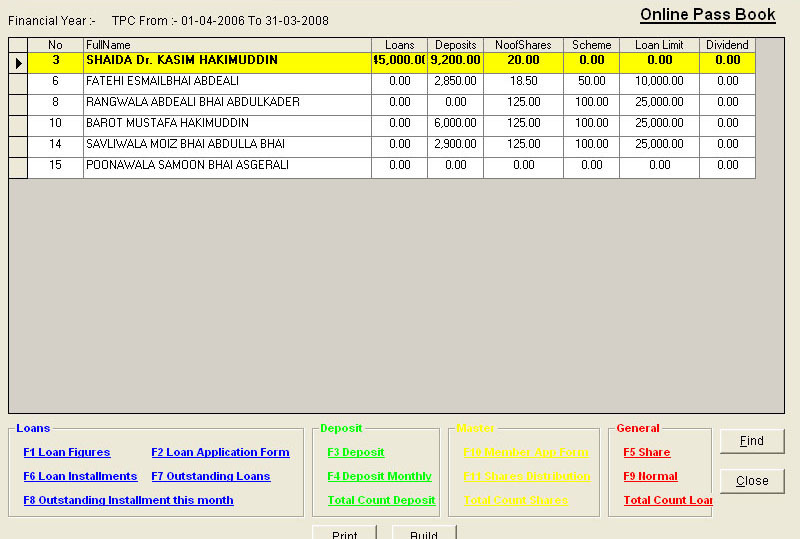 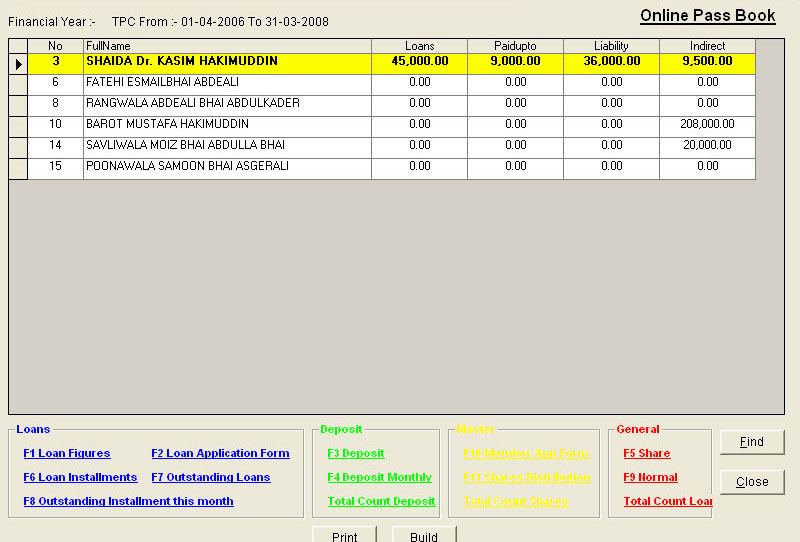 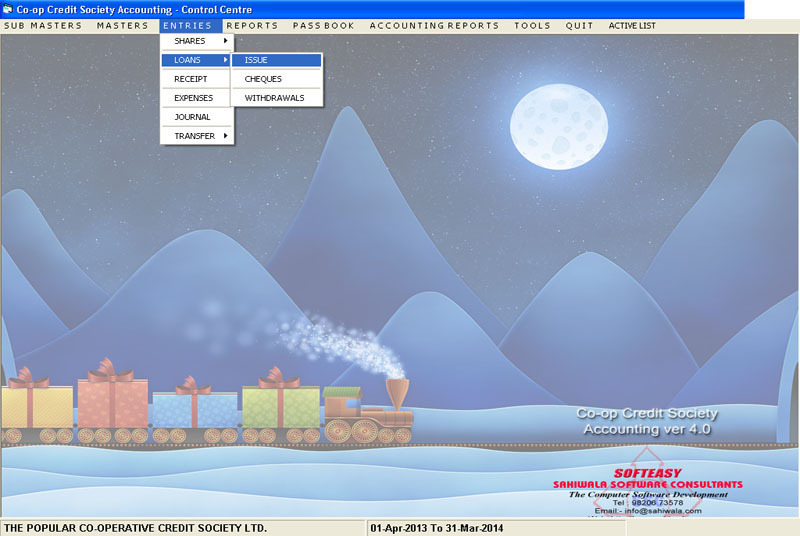 ﻿ Credit Society Accounting Loans and Deposits Software. 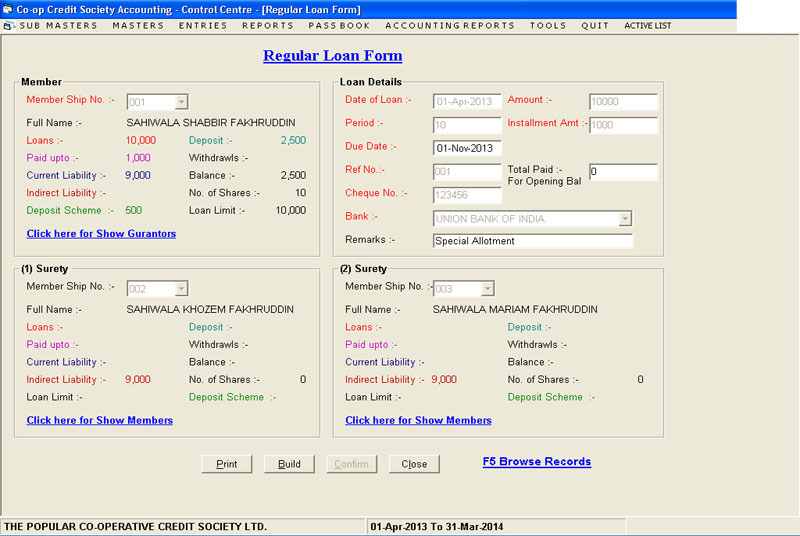 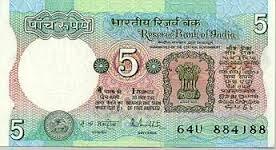 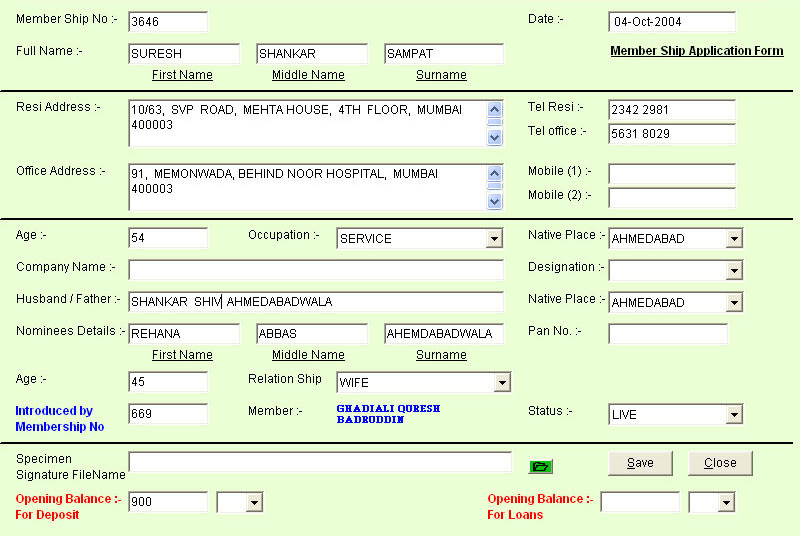 Employees Credit Co-operative Credit Society Ltd. 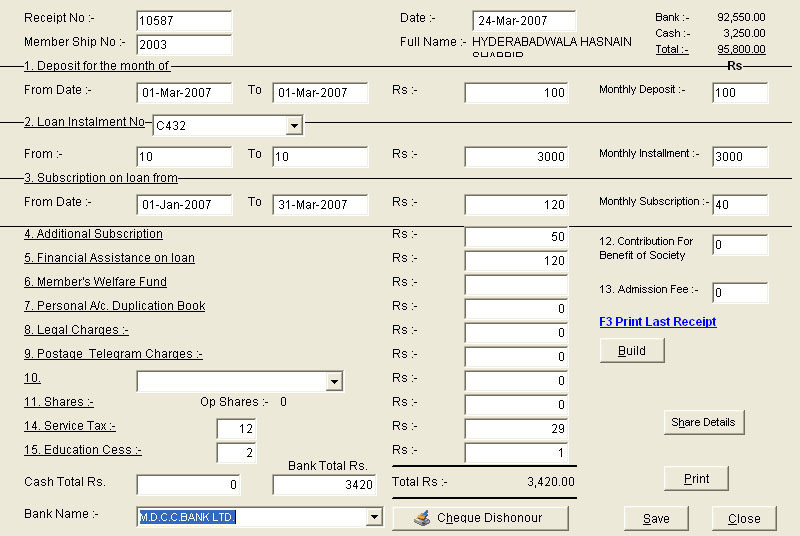 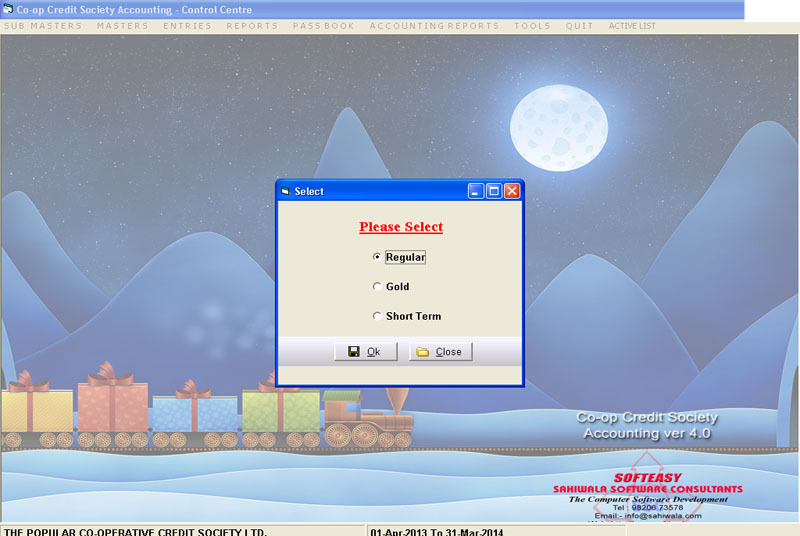 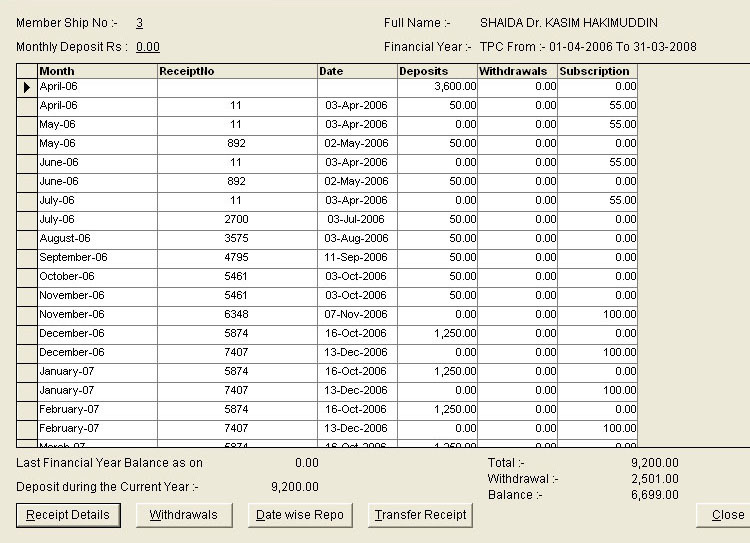 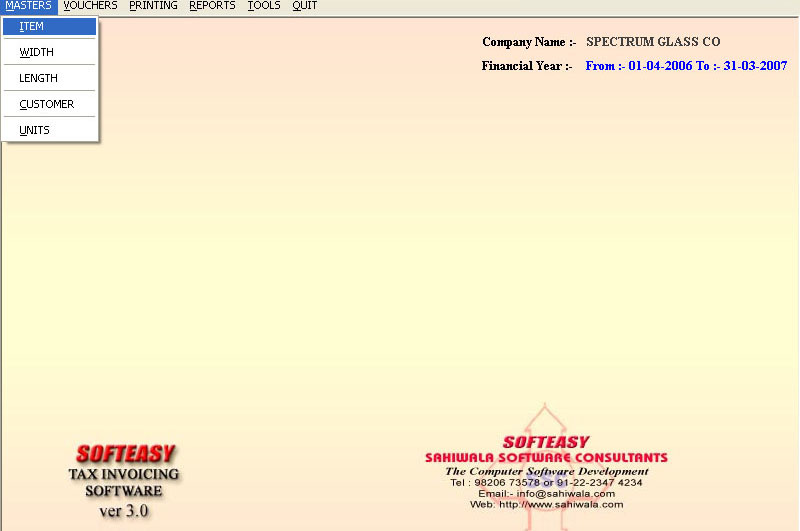 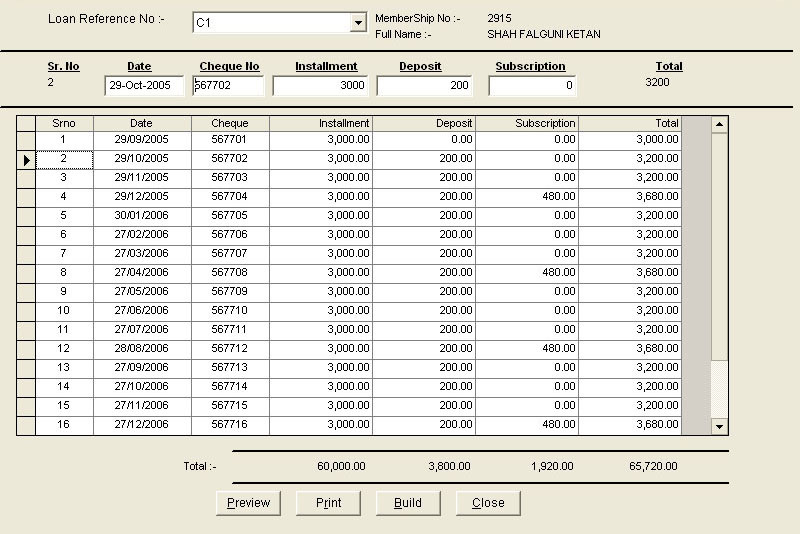 The Credit Society Accounting Software is a complete software for giving credits and collection of Deposits under the supervisation of societies act. 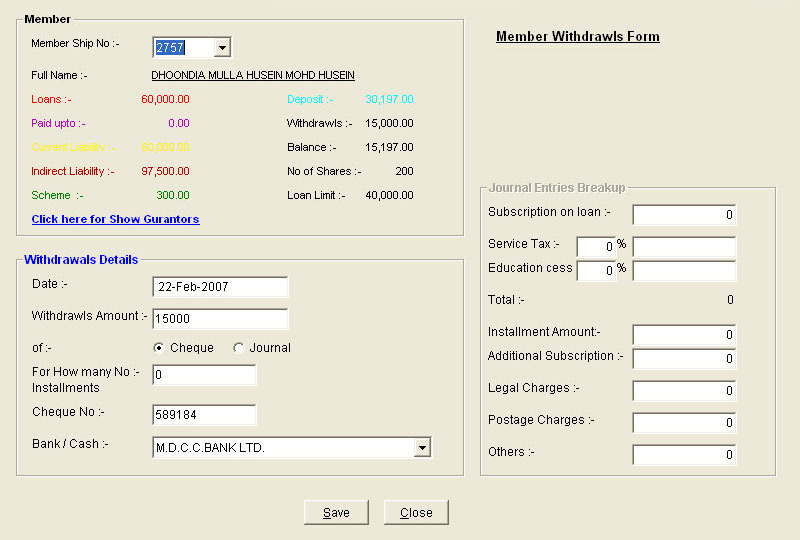 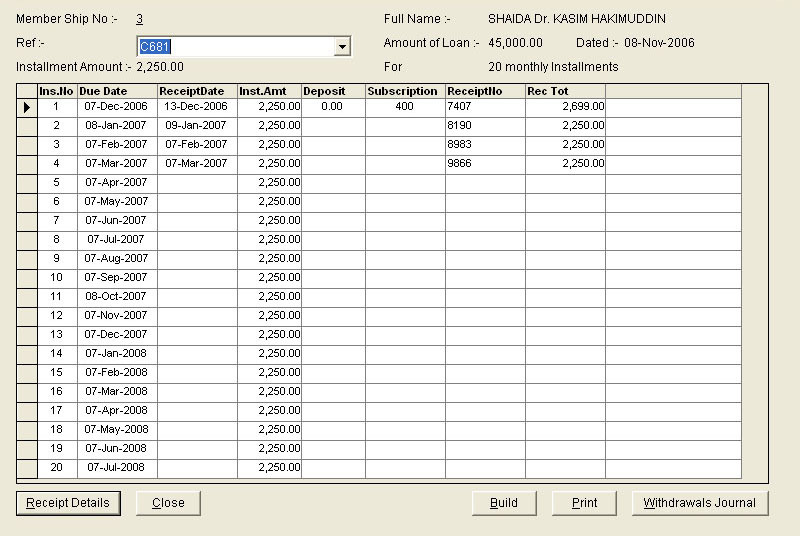 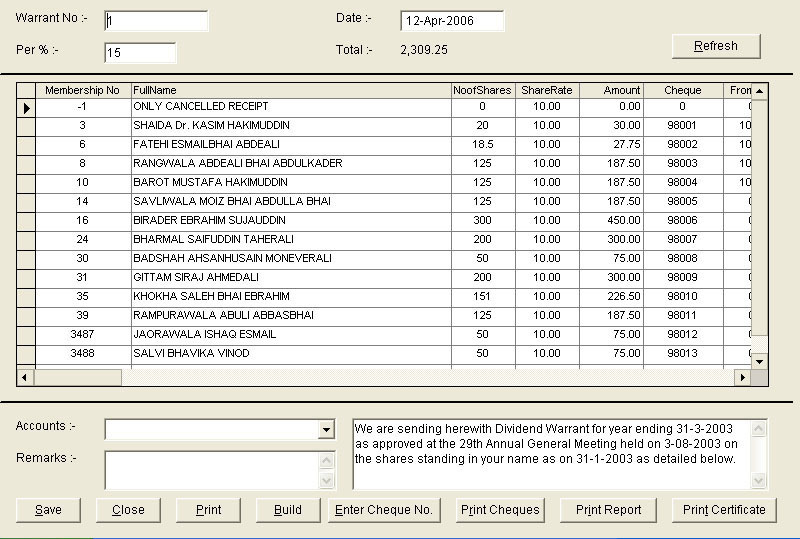 Accounting Features as well as Society norms are also included.